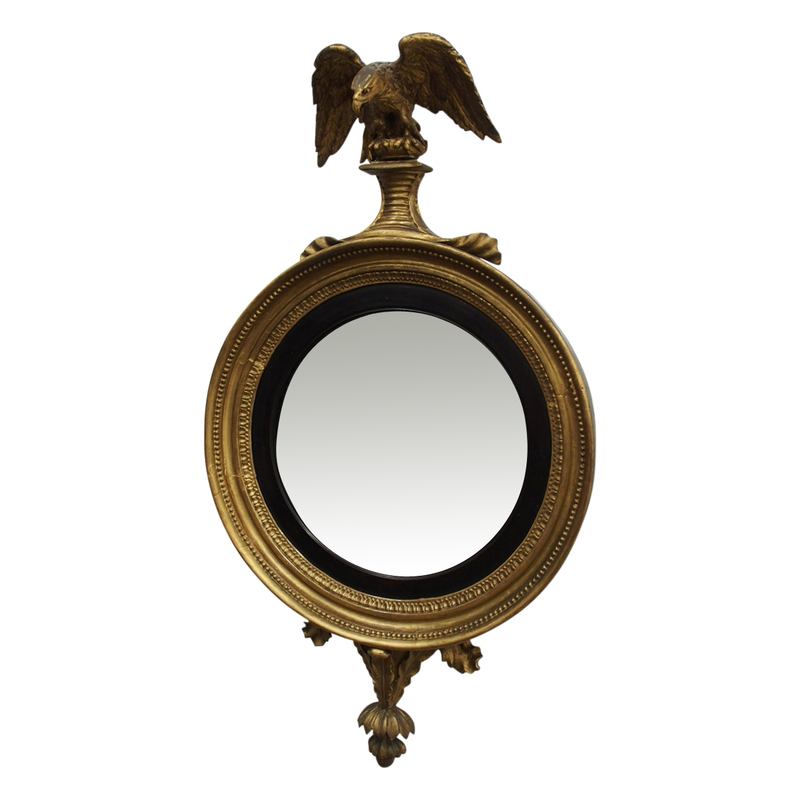 Circa 1815, carved and gilded Regency convex mirror. 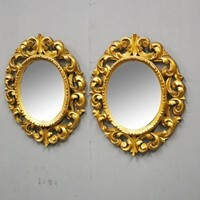 With ebonized bezel and original glass contained in a gilded frame with carved gesso concave mouldings and beadings. Surmounted by carved eagle and to the base a foliate motif in gilt wood, finishing on a downward facing finial. Situated in Edinburgh, we are one of Scotland’s leading antique dealers. A member of LAPADA and CINOA, we have an extensive range of quality antiques including fine Georgian, Victorian and Edwardian furniture, gilt mirrors, dining tables and large sets of chairs, clocks and works of art in our five floor warehouse in Leith. With a personal approach, friendly advice and efficient after sales care, we ensure you find the antiques or works of art to suit your taste and budget, including the option of trying items in your own home prior to making any final decisions.